You can probably guess which games it beat to get there. It may be hard to believe, but we are a mere five days away from the release of Blizzard's long, long, long awaited dungeon-crawler, first announced in June 2008. People are already downloading their copies from Battle.net. And according to online mega-retailer Amazon.com, more people have preordered Diablo III than any other PC game it's ever sold. The PC titles it surpassed to earn that lofty achievement, of course, are World of Warcraft: Cataclysm and StarCraft II: Wings of Liberty. It's probably a safe bet that the news has Blizzard's various development teams poking fun at each other over in Irvine, but then again, it's not like they're any strangers to setting PC sales records, either. It would be interesting to know hard, concrete numbers for this sort of thing, or how D3 preorders compare to that of the record-setting Modern Warfare 3 and Black Ops II. Of course, the Call of Duty series is available on three platforms, which might skew the results a bit. This is, of course, only counting Amazon.com's numbers. It doesn't include anyone who buys the game via physical retail, orders it on Battle.net, or the WoW players who are getting the game free. It's a safe bet that come May 15th, anyone looking to tackle the evils of the Burning Hells won't be alone. And now we understand why the game's launch might be a little sloppy. 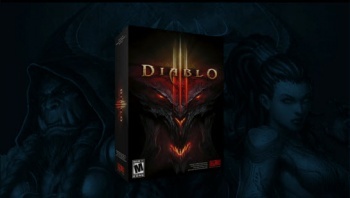 Holy hell guys, Diablo III is almost here. I need to start warming up my mouse-clicking finger.